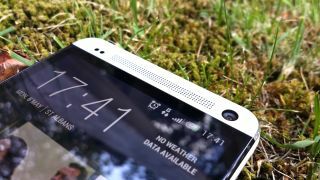 HTC has confirmed that it will release the Android 4.3 update for the HTC One just as soon as the software is certified - which it reckons should mean a late September roll-out. "Lots of questions re 4.3 release for One. We r wrking hard (needs cert) to release 4.3 across all US, Canada skus by end Sept. DNA as well." "We've had a lot of questions from customers about the Android 4.3 (Jelly Bean) release for the HTC One. "Here at HTC we are working hard to release the 4.3 update to handsets in the US and Canada by the end of September 2013. "The software currently needs certification before we can start rolling it out. It's a real pain in the neck getting Android updates to play nice with various carriers' handsets as well as getting Sense working perfectly with it, hence the slight hold-up." We may have added that last bit. No word on when the rest of the world can expect the Android 4.3 roll-out to hit their HTC Ones but we don't imagine it'd be too far behind the North American launch. If you're desperate to get your hands on an HTC One with Android 4.3 aboard before autumn rolls round, you can always get the Google edition handset which comes without Sense but with the latest software from the Android camp. We still maintain that the HTC One is the best phone in the world today. Find out why.